Why Was Malcolm Butler Benched at Super Bowl? Is Bill Belichick's benching of Malcolm Butler in the Super Bowl an isolated event, or a sign of bigger problems for the New England Patriots? Butler, 27, a starter for most of the season, played just one special teams play in what TV announcers said was a "coaching decision." 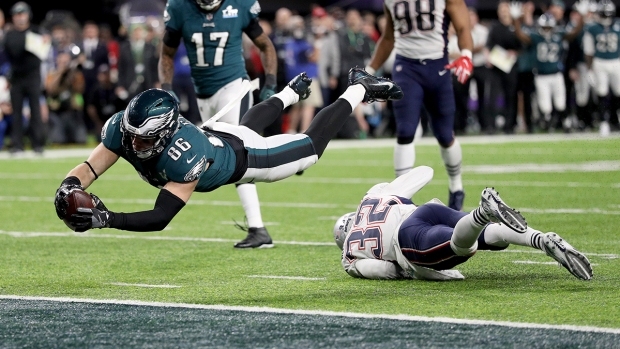 The team could have used the Super Bowl XLIX hero's coverage skills given that the Eagles were able to move the ball almost at will on their way to a 41-33 victory on Sunday night. Butler was visibly upset after the game, telling ESPN's Mike Reiss, "They gave up on me." Head coach Bill Belichick offered no reason for the decision, other than to say that it was a football decision. But could Belichick have a larger issue on his hands? Brandon Browner, who played with Butler on the Patriots' Super Bowl XLIX team, posted a photo on Instagram of Butler crying during the pre-game ceremonies, along with comments that appeared to be targeted at Belichick. "A locker room was divided pre game, most yds given up in a SB game, and your best defender over the past 3 seasons. Doesn't get a snap. You were hurt/burnt where he was needed tonight.. #foolishpride"
He also posted an expletive-filled video where he called Butler's benching "a (expletive) decision. That was a power trip. You divide the locker room when you do that... They deserve that for not playing Malcolm." That alone might not be too concerning, but the fact that current Patriots linebacker Dont'a Hightower liked one of the posts could be a sign that Butler isn't the only player who has issues with the coach. Hightower missed half of the season with a torn pectoral muscle and didn't play in the Super Bowl. Two former Patriots - Alfonzo Dennard and Jamie Collins - also liked one of Browner's posts. On Monday after the Super Bowl loss, Belichick defended his decision to sit Butler as one that was best for the team. "I respect Malcolm's competitiveness, and I'm sure he felt he could've helped. I'm sure other players felt the same way," he said. "In the end, we have to make the decisions we feel are best for the football team. That's what I did. That's really all I can say about it." The turmoil also comes on the heels of an ESPN report last month detailing a rift between quarterback Tom Brady, Belichick and owner Robert Kraft. ESPN reported the trio had a series of major disagreements in recent months, leading to the sense that this might be the last year together for the group. The Patriots issued a statement denying that story, saying the ESPN story and similar reports were "unsubstantiated, highly exaggerated or flat out inaccurate."